What is THC and CBD, anyway? So I don't qualify for THC, but I want to learn more about CBD? CBD is a great alternative if you don't qualify for a NYS Medical Marijuana Card. Click HERE for more information on CBD and how it can help you. What forms do I need to fill out before my appointment? Click HERE for relevant forms. Don't know which ones to fill out? Please contact us at contact@medcannabisconsultants.com and we will promptly reply. Where can I reach out if I can't find the answer to my question? Please scroll down and inquire below, we will be prompt to reply! Does Med Cannabis Consultants evaluate patients for the purpose of determining whether a patient has a qualifying condition or not? 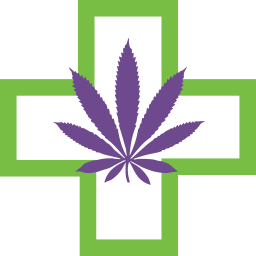 We do not evaluate patients to determine if they have a qualifying condition for their NYS Medical Marijuana Card. You do not need a referral from physician to see us, but you do need a progress note from your primary care provider or specialist documenting your diagnosis. If you’re interested in CBD only, you can schedule a primary consultation with no documentation. How does a patient get medical cannabis? Please follow our "get started" page above to start the medical cannabis process with us! Please fill out all of the paper work before your first appointment. You will need to provide a NYS photo ID (drivers or non-drivers ID) and a treating doctor's progress note that documents your diagnosis. Don't worry we will go over this with you and help with getting the required documentation if needed!